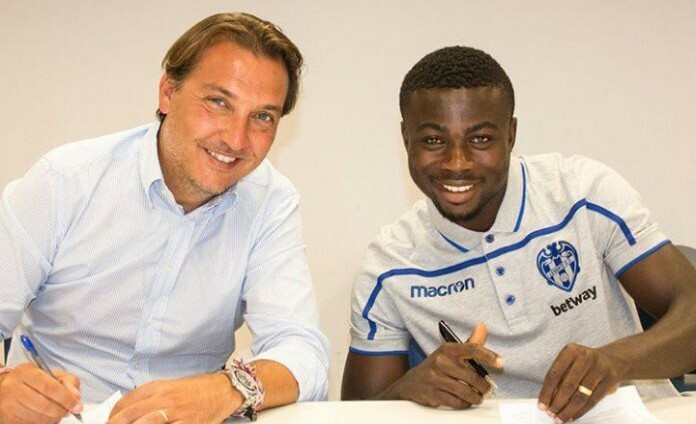 Spanish Laliga side Levante has completed the signing of Super Eagles forward Moses Simon from Belgian side Gent. The 23 years old joined for an undisclosed fee in a five-year deal and will team up with Ghana international Emmanuel Boateng in Paco Lopez’s team next season. Simon who was on the radar of Liverpool scored 21 goals in 108 matches across three seasons with Gent. In his time with the Belgian top-flight outfit, he won the league in the 2014-15 season and the Super Cup title in the 2015-16 campaign. An injury he sustained late last season ruled him out of what would have been his first senior World Cup.